Word of the Lord for this year: “2018 will be a time of elevation for My people. My grace shall flood the land with My promises being fulfilled. A tsunami of love shall cross the land and cause great healing and restoration among My people. My power of healing shall overtake hearts and past hurts, and offenses shall be no more. Families shall return to each other as healing of hearts will be established by My love for them. “My glory will penetrate homes and cause a desire to serve Me with a tenacity that has not been seen before. My people will rise up like never before with an urgency to grow My Kingdom. Many waves of My glory shall sweep the land in all the different mountains. There will be breakthroughs in the corporate world. Barriers the enemy has established in the different mountains shall crumble. “One by one the layers of the enemy shall vanish, and My anointing shall sweep through from the White House down into the corporations, small businesses, and into education from elementary up through higher education. My Spirit shall flow through the offices and cubicles of the people as they sit and work. There will be a strong shift in every direction as My Spirit unlocks the hearts and visions of My people from all races and religions. There shall be unity as My people pursue peace and hope for the whole land. My Blessings Will Flood Through! “Corporations will see an increase of wealth as My blessing floods through, causing promotions to come forth for those who have been asking and seeking Me. Those who have served Me will be elevated to new levels of opportunities of leadership over large numbers of people. A discipleship mentality will sweep the land – real Kingdom discipleship and training – and My name will be established in business like never before. Entrepreneurs will rise up all over the land and success will follow My people. I will raise up givers from the corporate world who understand the law of giving to become a funnel, and bringing the wealth of the wicked into My Kingdom to fund My end-time agenda. “My Spirit will overtake the workplace on all levels, but first those in high positions will begin to create new cultures and new environments for My love to grow in. Education systems will bend My way, and the enemy will not win as I stand firm against wrong teachings. I am raising up new educators that will take My Word into their classrooms and change lives. Not only secular education but Christian education will take on a new shift that will get participants in this new movement – ready to go out and take the land. Arise and See Your Calling – The Church Landscape is About to Change! “Leaders from the business world will rise up and begin to see their calling, with one foot in the workplace and another in the ministry. More and more men and women will rise up with a strong background of leading teams, and this will infiltrate the Church. The landscape of the Church is changing. As this happens, apostles, prophets, evangelists, pastors and teachers will team up and new growth will come about in My churches. Leaders will come out of the corporate world into churches to help lead with a different mindset. Chantell Cooley is a successful entrepreneur and business woman on the cutting edge of 21st century education. She is Co-founder of Columbia Southern University (CSU), one of America’s leading online universities, and Senior Vice President and Co-owner of Columbia Southern Education Group where she oversees Business Development, Human Resources and Admissions. 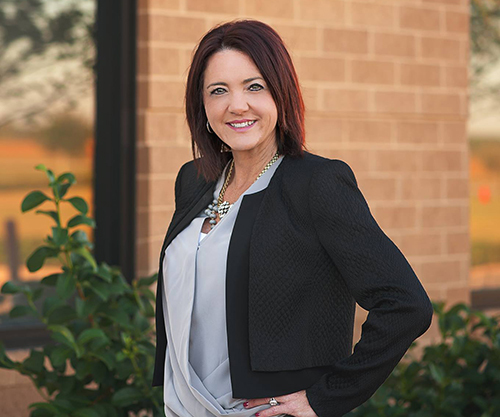 The daughter of a military veteran, a wife and mother of two, Chantell is familiar with the struggles of the average American and is a firm believer in education, changing lives and helping families find happiness. Mrs. Cooley is a tireless advocate for developing leaders and an energetic corporate/motivational speaker, specializing in a range of topics on leadership, education, business and ministry. Her latest book, Winning The Game Of Life, offers thought-provoking and practical life lessons that empower the reader to succeed in life.